Christoph Meyer is a Professor of European and International Politics at Kings College London. He is also Co-Investigator in an EU-funded project on the Media and Violent Conflict in which he leads a workpackage on the role of Non-Governmental Organisations. He has specialized in the area of EU foreign and security policy and constructivist approaches in international relations. Prof Meyer was between 2012 and 2013 the Co-Chair of an Expert Task Force on Strengthening the EU’s Capacities for the Prevention of Mass Atrocities (with K.E. Smith). 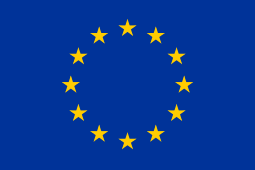 It issued a major report analyzing the strengths and weaknesses of the EU and made recommendations on how to improve. Prof. Meyer was the PI of the FORESIGHT project on early warning and conflict prevention funded by the European Research Council (2008-2011). He published in leading journals in European Studies (e.g., JCMS, JEPP), International Relations (ISQ, EJIR), as well as in journals relating to political communication (MWC). The Brexit Debate: Why Brexit would make the UK less secure (8 May 2016) - The EU referendum debate has so far hardly touched on the implications for the UK’s security and foreign policy amidst the current focus on the economic consequences. This is not to say that economic and foreign policy issues are not connected.